May God bless you sir. Instead of listing his accomplishments, which are many, I thought it would be best to let his words shine through. Below are some quotes from the finest teacher our land has ever known. Go and check out his website here. 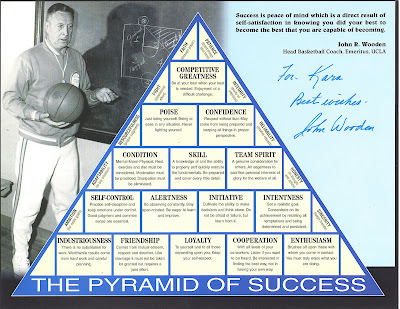 Below is his Pyramid of Success. Live by it. Click on the pic to enlarge. This is an interesting find on eBay. It is brand new to me, and it is not listed in my trusted standard catalog from 2002. 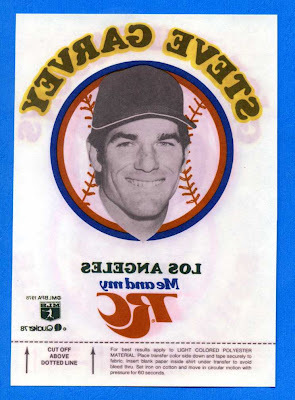 That shouldn't be surprising since, over the years, certain sets are omitted to reduce the size of the catalog. 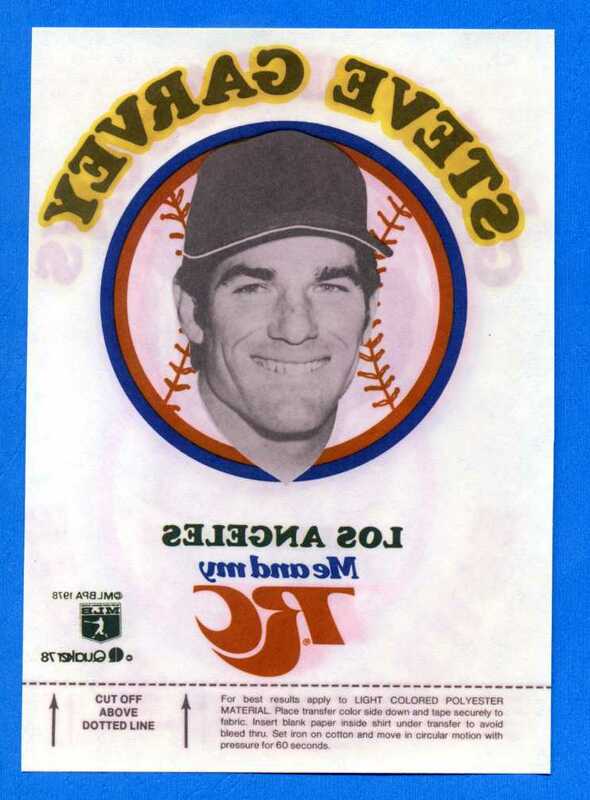 Below is a 1978 RC Cola Iron-On of Steve Garvey. 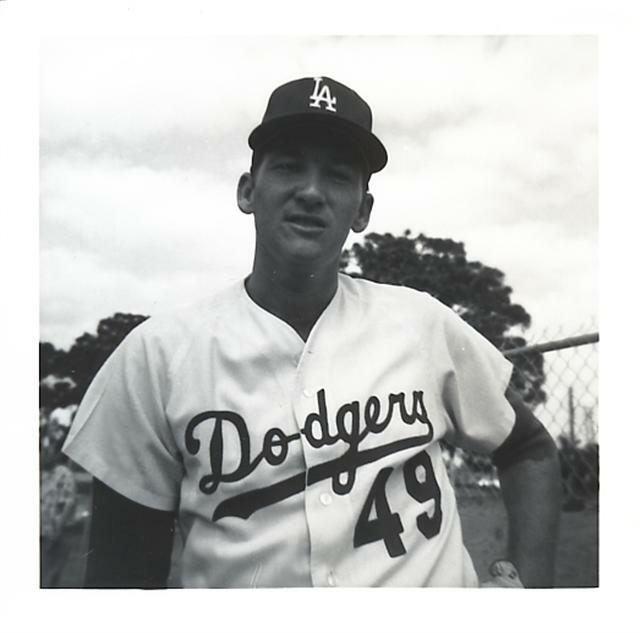 Overall, there are 5 different Dodger players- Garvey, Ron Cey, Don Sutton, Tommy John and Bill Russell. This is not a regional issue. Every team in the league has 5 players represented for a complete set. Master knuckleballer Charlie Hough is posing for a fan in this photo snapshot.